THE Sunshine Coast Lightning have struck twice. 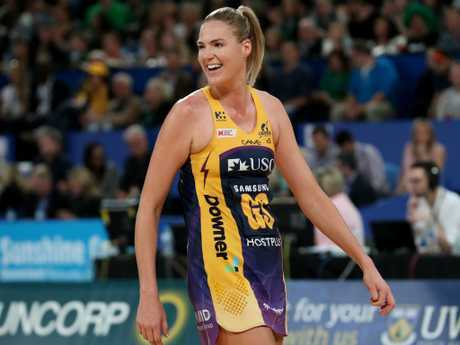 In just their second season in the Suncorp Super Netball competition, the Lightning have claimed their second Grand Final victory with a 62-59 win over West Coast Fever at Perth Arena. In front of a national league all-time record crowd of 13,722, the Lightning trailed by seven goals late in the second quarter but seven unanswered goals either side of halftime saw the Sunshine Coast stay in the hunt for back-to-back titles. A 22-16 third term handed the Lightning the momentum and they hung tough in a tense final quarter when the scores were level at 55-all with six minutes left on the clock. Caitlin Bassett hit 45 goals from 50 attempts while Steph Wood added 17 goals from 20 attempts for the Lightning. Jhaniele Fowler had 53 goals from 55 attempts for the Fever. Goalshooter Bassett won the MVP award for her 45 goals. She was the central figure in the match given she played all her netball in Perth before linking with the Lightning at the start of 2017. 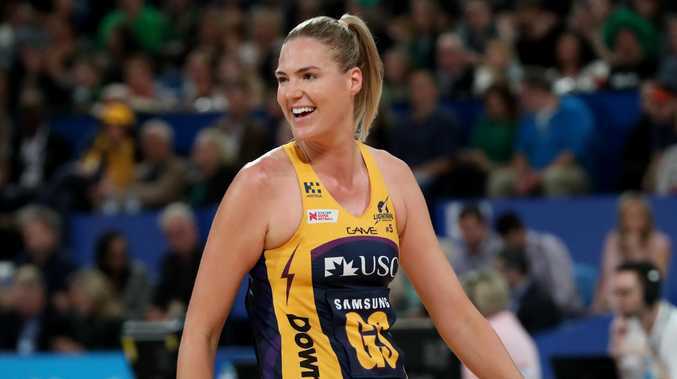 She declined a vast majority of interview requests in the build-up to the decider but let her netball do the talking in the season showpiece as she weathered the physical storm from direct opponent Courtney Bruce. The Lightning lost their opening three matches of the regular season and had to win their last four matches just to squeeze into the top four. They were rank outsiders to claim the title but beat the Firebirds in Brisbane, the Giants in Sydney and the Fever in Perth to claim the silverware again. "I'm just so proud of the girls,'' Lightning captain Geva Mentor said. It was a heartbreaking result for the Fever who were playing in their first-ever Grand Final and just their third finals match ever. The third quarter is known as the premiership quarter for a reason. It is when champions teams show their mettle. And it is when the Lightning stood tall. 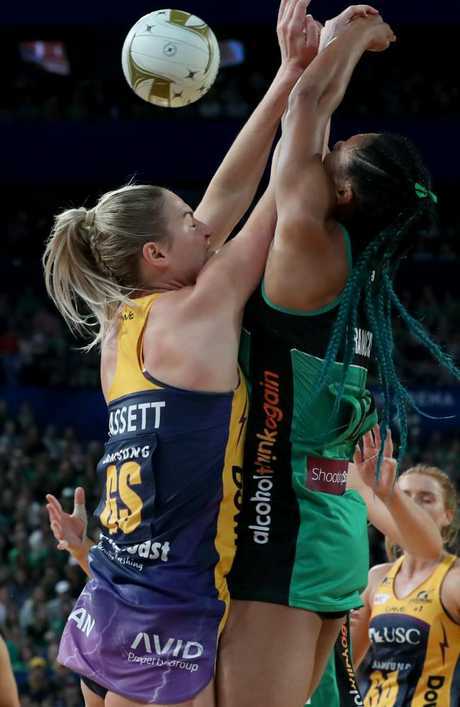 The Sunshine Cost scored the first three goals of the third quarter to draw level with the Fever and the teams got into a tense grind until West Coast produced some costly turnovers and the Lightning pounced to establish a handy advantage. The Fever scored the first four goals of the second quarter and shot out to a 29-22 lead late in the term. 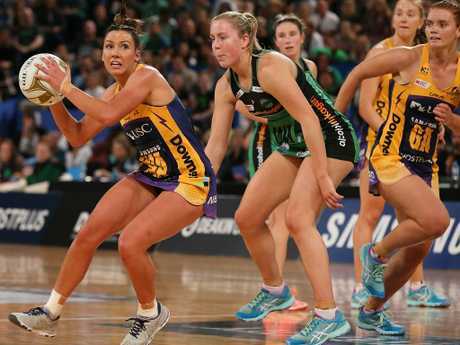 West Coast were over the Lightning like a cheap suit but faltered just before halftime as the Sunshine Coast hit the last four goals to roar back into the contest with the Fever holding a 29-26 buffer at the main break. The teams were locked at 14-all at quarter-time after a rollercoaster opening term full of momentum shifts and drama. The flashpoint was when Lightning goal attack Wood smashed into the goalpost with three minutes left before the first break. Wood was driving towards the post when she was checked by Fever captain Courtney Bruce, with the hip-and-shoulder sending the Lightning star crashing into the woodwork. 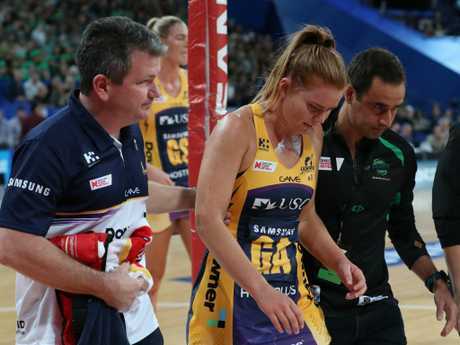 Wood appeared distressed as she lay on the Perth Arena floor and medical staff rushed to her side. After several minutes, she was eventually picked up off the pine and taken into the dressing rooms. Wood returned to the Lightning bench at the quarter-time break but did not take to the court for the second term. The Lightning had the early ascendancy and held a 6-3 lead to silence the vocal Perth Arena crowd before the Fever went on a 5-0 run.